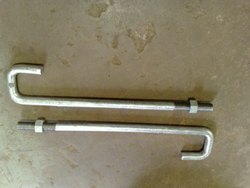 Providing you the best range of stud bolt, foundation bolt, ss u bolt, hex bolt and resin anchor bolt with effective & timely delivery. Standard ASTM / ASME / BS / DIN / BS EN lSO Material Stainless Steel,Duplex. Super Duplex Steel. Threads UNC. 8UN,UNF,Metric course 8 Fine Series. The extensive range of offered Stud Bolts For Flanges by us is available in different sizes so that it fit in various applications. 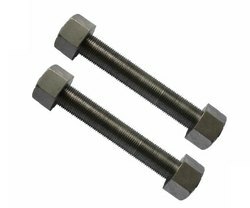 These bolts are widely appreciated for their durability, sturdy construction, corrosion resistant features, and application specific designs. We have emerged as a leading organization, engaged in offering superior quality Foundation Bolts. 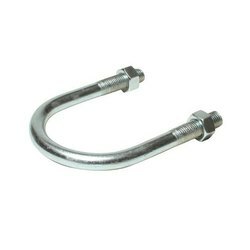 Backed by years of industry experience, we are engaged in offering a premium quality range of SS U Bolt. Standard ASTM / ASME / BS/ DIN / BS EN ISO Material Stainless Steel,Duplex. Super Duplex Steel. Thread Type UNC. 8UN,UNF,Metric course 8 Fine Series. Thread UNC. 8UN,UNF,Metric course 8 Fine Series.